NNU income program is the fastest growing, legit and genuine Nigeria News Income Program. So if you are seeing or joining the program for the first time, will be tempted to ask the question of how do i make money on NNU income program? What is NNU Income Program. 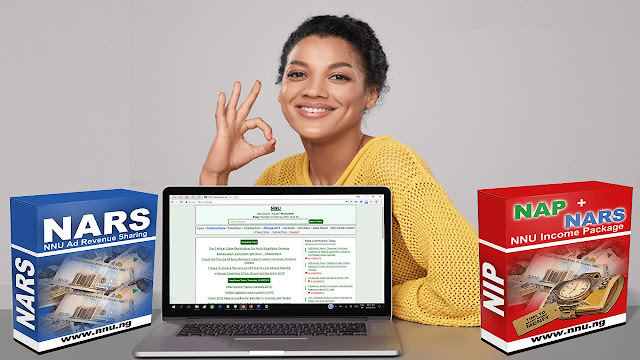 NNU means Nigeria News Updates Income Program and the shortened form is NIP. May be you have being seeing NIP every where so you understand what it means now! Who runs the NNU income program or NIP. The owner of the Nigeria News Income Program is the Nigeria most famous Blogger or Website Designer Paul Samson who has being running his company for some years now. His company is G-Cyber Technologies Limited and he also is the admin of other successful programs like Coolnaira, Eboss foundation etc. Apart from being a successful online entrepreneur, Paul Samson is also into humanitarian services and you can see updates of his activities on his Facebook timeline. If you want follow him and know more about his activities, you can add him up on Facebook. How to make money on NNU income Program. Actually, what i’m about to share with you is a secret way to make money on Nigerian News income program and any other online network or affiliate program. So you should pay close attention because you will hardly find such info online, but if you do, it most certainly will not be free. This is the first way to make money on NNU income Program. This is an easy way to make money on Nigerian News income program. dashboard, click on sponsored post, then follow the instruction and click on the link to the sponsored post for that particular day. Follow the steps and post on your timeline on Facebook. Then come back to NNU Sponsored post page, scroll down and comment “Sponsored post has been posted on my timeline for today” then you will earn 50 Naira. Do this daily, it takes less than 5 mins to do this and you will make money daily. This is also and easy way to make money on NNU Income Program. This is how you do it, login to your Nip account, then click on front page and scroll down then you can see link to different news updates. Click on any of those news links, read the news and make a reasonable comment and you earn 1 Naira. There is no limit to the number of comments you can make in a day. the more comments you make, the more money you will make. It’s as simple as that! NNU income program has one of the best affiliate commission system in the industry. Once you join the NNU income program, you are already qualified to earn affiliate commissions and all you have to do is get your affiliate link and share online. Doing this alone can increase your earning on the NNU income program ten times. This is how to get your affiliate link on NIP. referral url, share a post on facebook and add your referral url, post on twitter, linkedin, whasapp etc. That is how to make money on NNU income program. To join the program, you need to pay a one time N1,600 and the payday is 27th of every month. This program is legit, real and paying and you should not procrastinate or under rate the program. Click Here to Join Now and Start Making Money On Nigeria News Income Program.